& over 784m2 of signs. 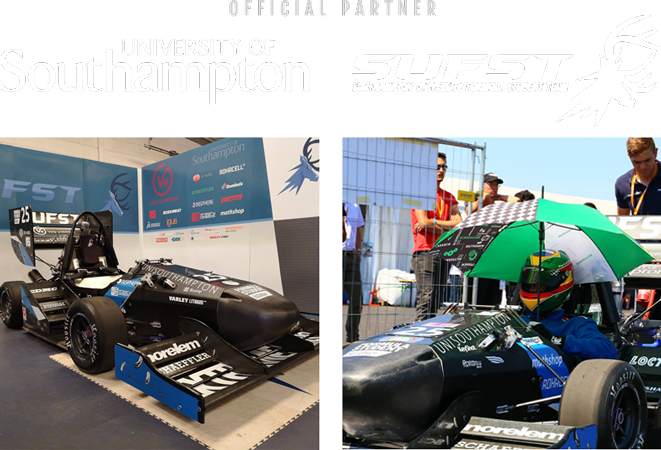 We’re proud to be partnered with University of Southampton Formula Student Race Team, providing the race car graphics and other promotional materials. We support other local charities and schools, community is a big part of our ethos. This year we achieved Gold Award status with Mactac (our main vinyl supplier). We have used Mactac from the get-go and are proud to stand by a brand we can trust. Call us up/email it in, and we’ll handle the rest. We know it’s going to be last minute, and we’re geared up for it. All the materials we use are removable. They’ll last, but when you come to remove them they wont damage the paintwork, and are quick to peel. Not ‘cheap’; there is a difference! We pride ourselves on giving you the service you need; using tried and tested materials and processes, whilst always keeping costs low. We are well rehearsed in ‘keeping it corporate’. With over 85 years combined experience in signs and advertising we not only know what were talking about, we are also quite good at it!